Vivendi’s acquisition of dailymotion three years ago proved to be an important turning point for our organization, that allowed us to rethink how we were working — rethink our whole way of working — from top to bottom. We used that opportunity to evaluate dailymotion as a whole, our infrastructure, and, more importantly, the core of how we were building our products. In the end, this introspection confirmed what we already knew: our desire to geo-distribute our platform and build API-driven web, mobile and TV applications. That meant ditching our current monolithic structure and adopting an API-centric approach. This article chronicles the path we took to get there. After rigorous testing, GraphQL and its Graphene implementation met our criteria more closely than the other two models. It enabled our front-end engineers to consume our API more easily and simplified its use in client applications (e.g., React JS and Apollo Client). GraphQL also proved easier and more efficient as a pattern gateway in our architecture. We collectively agreed to move forward with GraphQL and Graphene. In April 2017, after an intensive six-month development phase, we went into production with our API. By summer we had moved all dailymotion products (web, mobile, and TV) to our GraphQL API. 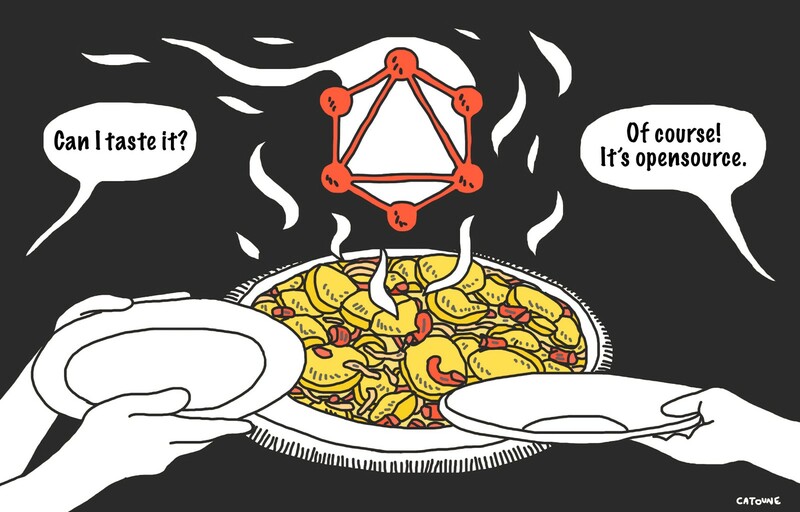 When we chose GraphQL three years ago it was still in beta and had not yet reached the popularity it has today. We were one of the first big players, and this made our revamp even more gratifying. 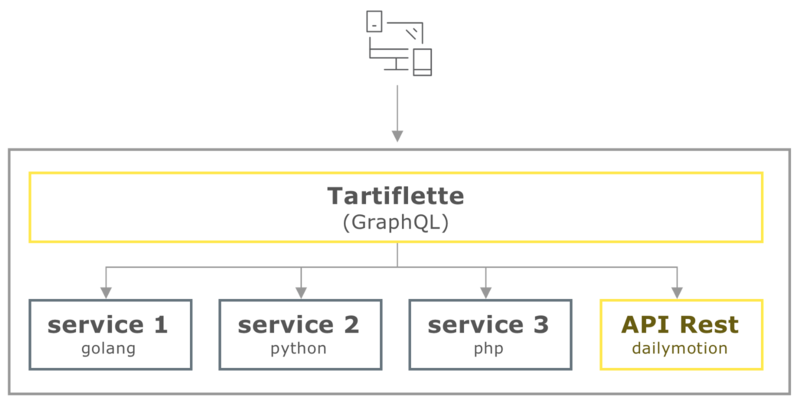 After almost a year of development and many weeks of testing on our infrastructure (averaging more than 100 million calls processed per day), we are proud to offer our open-source Tartiflette engine to the GraphQL community. The GraphQL schema is defined with the brand new SDL (Schema Definition Language). Performance is the core of our work and this is obvious with Tartiflette. Built with the Zen of Python in mind. No over-engineering. Discover some other features through our tutorial on tartiflette.io. And now… we need you! You can use our project for nearly any purpose and help us build the next version of Tartiflette! Please, give it a spin, feel free to inspect errors or inconsistencies in our code and give us feedback to improve our product. We truly believe that Tartiflette will become even better with the collaboration of the community. Thanks to Klemen Sever, Julie Lambert, Zala Vogrinc, and Anne-So.